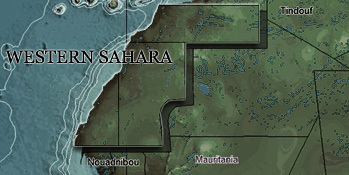 A subsidiary of Glencore Xstrata has been awarded two licences off occupied Western Sahara. The multinational company misplaces the locations of the blocks – placing them in the occupying country, Morocco. 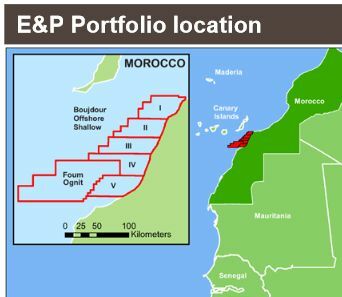 Map above: Glencore fails in geography, by placing its licences in occupied Sahara in the occupying country of Morocco. Already on the 10 September 2013 did Glencore announce in a conference that it had received the operatorship and 38.25 % of the licence Boujdour Offshore Shallow. The presentation was done by the Glencore director Alex Beard, one of the world’s richest men. The award of that licence has passed unnoticed by WSRW and the media until now. 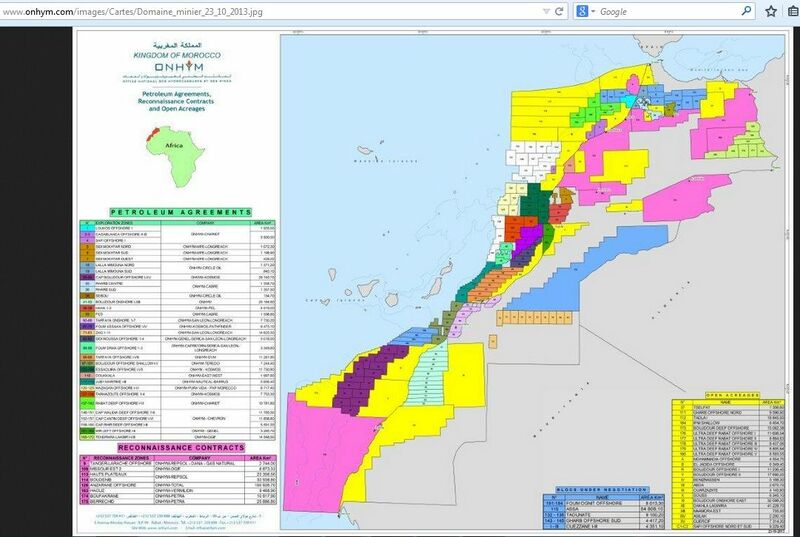 Even though Glencore in September last year told the investor community that it had signed the deal, its licence was not enlisted on the map published by the Moroccan state oil company ONHYM on 23 October 2013, a map which has been online ONHYM’s webpages ever since. The Boujdour Offshore Shallow lies to the north-east of Cap Boujdour Offshore licence, operated by Kosmos Energy, where drilling will take place in November. The licences are awarded in clear violation of international law, as described by the UN in 2002. By signing agreements with Morocco for waters falling outside of the waters of Morocco – inside the territory of Western Sahara that Morocco is occupying – the oil companies undermine the UN peace efforts and basic human rights of the people from the occupied territory. The Human Rights situation in the territory under occupation is precarious. As late as 29 September 2014, it was reported that human rights defender Hassana Elwali had died from treatment in a Moroccan prison in the occupied territory. All organizations asking for its right to self-determination for the territory or the resources are banned from being registered. The secretary-general of the Committee for Protection of Natural Resources, and other leading activists, was sentenced to lifetime in a Moroccan military court last year. WSRW first wrote about the Boujdour Offshore Shallow licence in July 2013, revealing that two interrelating companies both claimed to have ownership over or “plans” for the block offshore the occupied territory. Those two small companies, Teredo and Imara, are not referred to in the Glencore files. One could presuppose that one or both of them still have a participating interest in the block. However, this is not the only licence which Glencore appears to have signed recently. By 13 May 2014, in a presentation from Glencore given in a meeting in Miami, an adjacent licence to the south had been awarded to Glencore’s portfolio – an 18.75% participating interest in Foum Ognit Offshore. That presentation was given by CEO Ivan Glasenberg. The official Moroccan government gazette announced on 19 June 2014 that the Foum Ognit 'exploration licence' had been awarded to Glencore on 21 February 2014. That Foum Ognit licence was first presented as “under negotiation” on the ONHYM maps during the first quarter of 2013. While the mentioned Boujdour Shallow lies right on the coast, next to the capital El Aaiun, the Foum Ognit is located a bit further offshore. The two Glencore presentations mentioned above are both published in the name of Glencore Xstrata Plc, the mother company of Glencore Exploration & Production (Morocco) Ltd which holds the licences. Glencore Xstrata is a multinational company registered in Switzerland. Glencore’s partner on the Foum Ognit is a company called New Age Morocco Limited, according to the Moroccan government gazette. In addition, the Moroccan state oil company, ONHYM, was also granted a percentage. New Age Morocco Limited is a company discretely registered in Jersey through a trustee. This means that it would in principle be impossible to know for anyone whom the real owners are. Its directors and owners are not mentioned in the Jersey company register. The company was originally founded in 2012 under the name “New Age Rift Limited”, but changed name into “New Age Morocco Limited” 12 February 2013, exactly when the Foum Ognit licence started to be referred to as “under negotiation” on the ONHYM webpages. WSRW research shows that the licence holder New Age Morocco Limited is 100% owned by New Age (African Global Energy) Limited. The mother company was incorporated on 22 June 2007 and has its registered office in the same house as New Age Morocco Limited, in Jersey, with administrative offices in 8 Lancelot Place, London, and in De Vries House, 93 Protea Road, Chistlehurston, Johannesburg, South Africa. It is the mother company’s 2012 (page 35) and 2013 (page 34) public accounts which document the 100% ownership over New Age Morocco Ltd.
Find here all company documents filed in Jersey by New Age Morocco and its mother company. The founder, CEO and chairman of New Age is Stephen Lowden, with former top positions in Marathon Oil and Premier Oil. Lowden also holds a board position in Taipan Resources. Most of the owners of New Age are based in tax havens. (Annual Return 2014). Apart from chairman Stephen Lowden, the New Age’s board consists of the following (Public Accounts 2013): Najib Ibrahim Mohd Al Zarooni (Emirati businessman from Dubai), Joao Pedro Felix Saraiva E Silva, (investment professional from Portugal), Tajinder Singh Sidhu, investment professional from UK, Andre Cilliers (director from South Africa with address in Windhoek, Namibia), CFO Mark Akers, Philip Jackson, Ivor Orchard, Chris Joly, Mark Cutis, Kai Wang, Alexander Dzhaparidze, Corporate director, NTC Services Ltd, from BVI and finally Corporate director, Nautilis Corporate Services Ltd.
As far as what WSRW understands, the Block F is normally seen as the Tiznit area, meaning just north of the international border between Morocco and the territory it occupies to the south. Yet, it could theoretically also be the Foum Ognit. The “Block F” itself does not appear on ONHYM licence maps.